Two churches and two different congregations came together Sunday for one message. 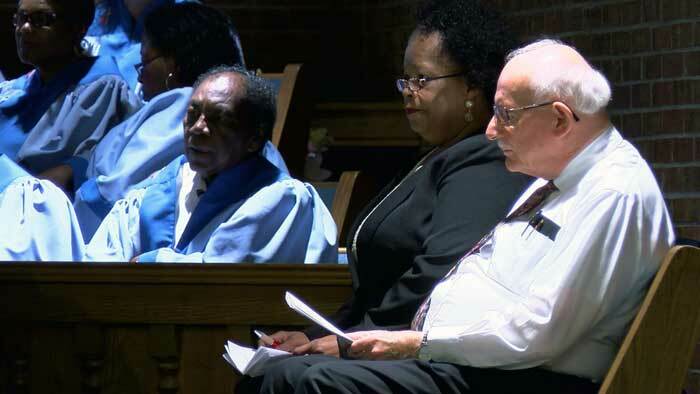 This morning, the predominantly black Wesley United Methodist Church had a joint service with Wall Street United Methodist Church, which is mostly white. They held the service at the corner of Spring and 12th Streets in Jeffersonville. Members of both churches said Sunday mornings are a segregated time, they hope to change that. The churches say they will continue to hold joint services in the future.